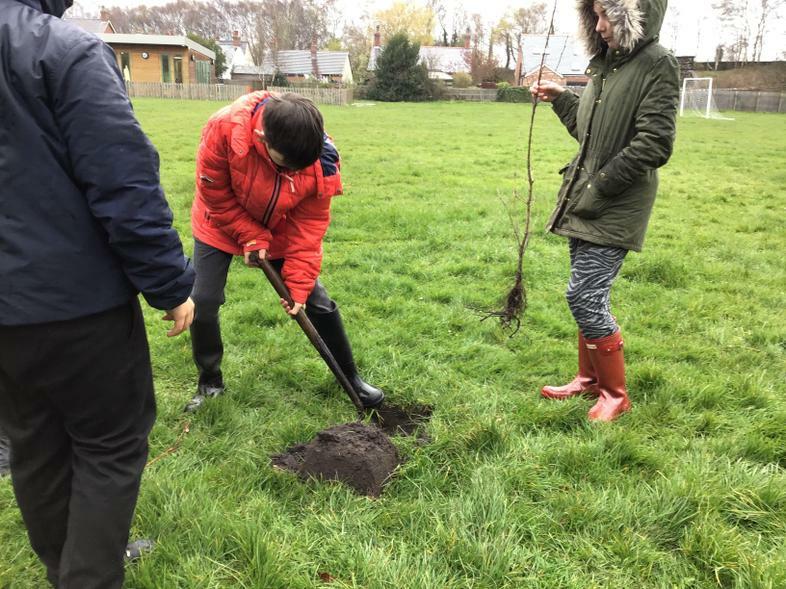 Mrs Sadgrove signed our school up to an Octopus Energy initiative a short while ago. 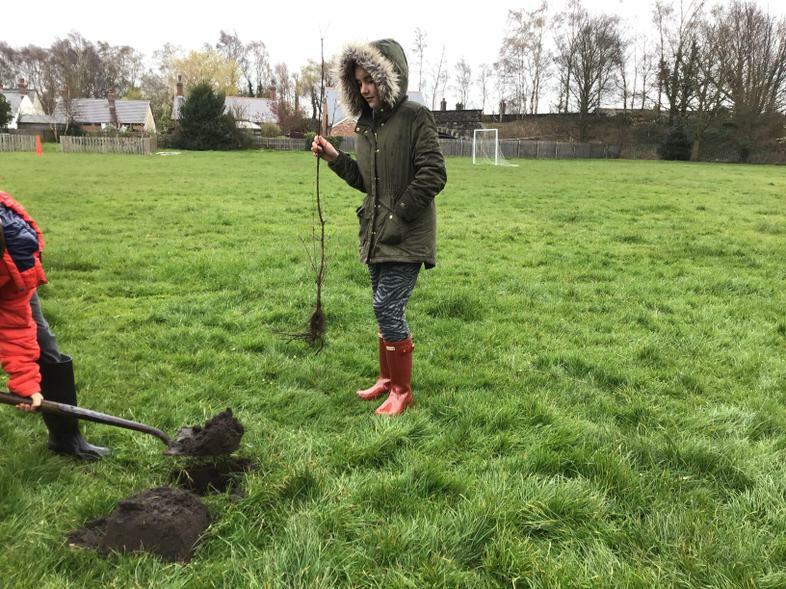 We are delighted to join their campaign to plant 10,000 trees across the UK in an attempt to help the environment. 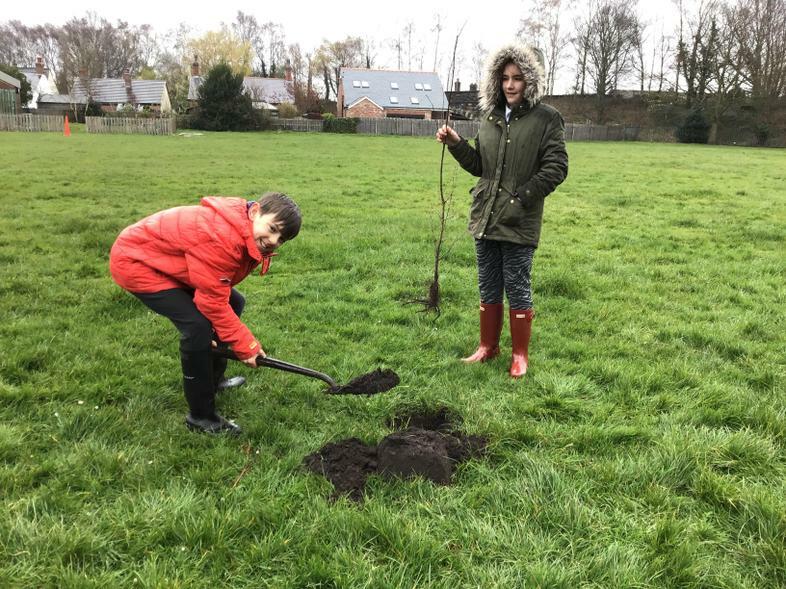 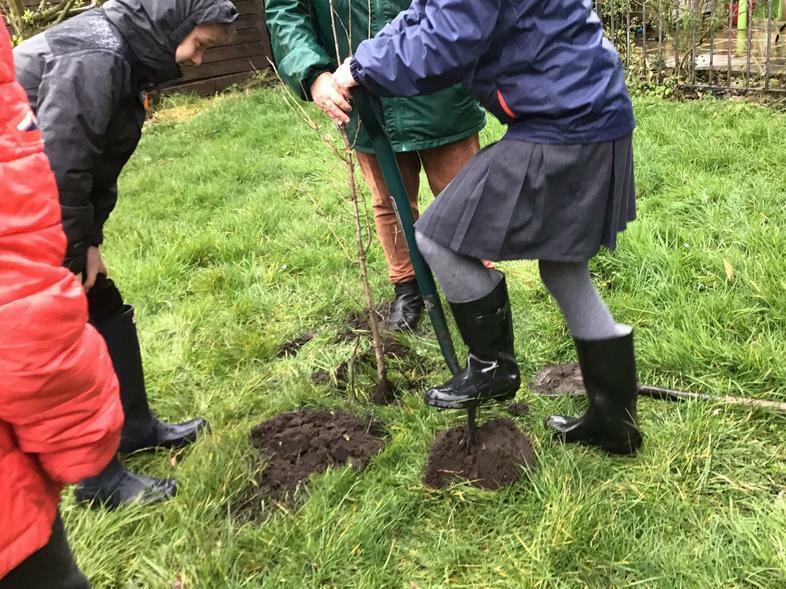 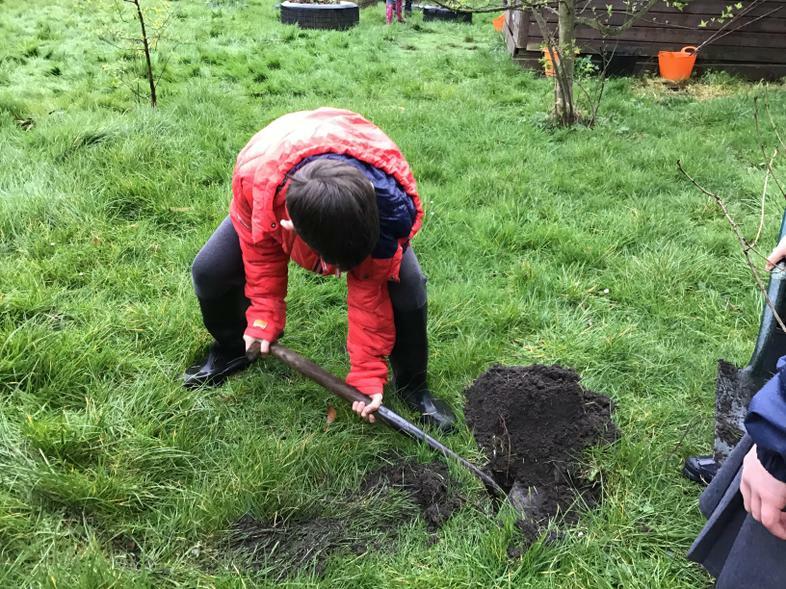 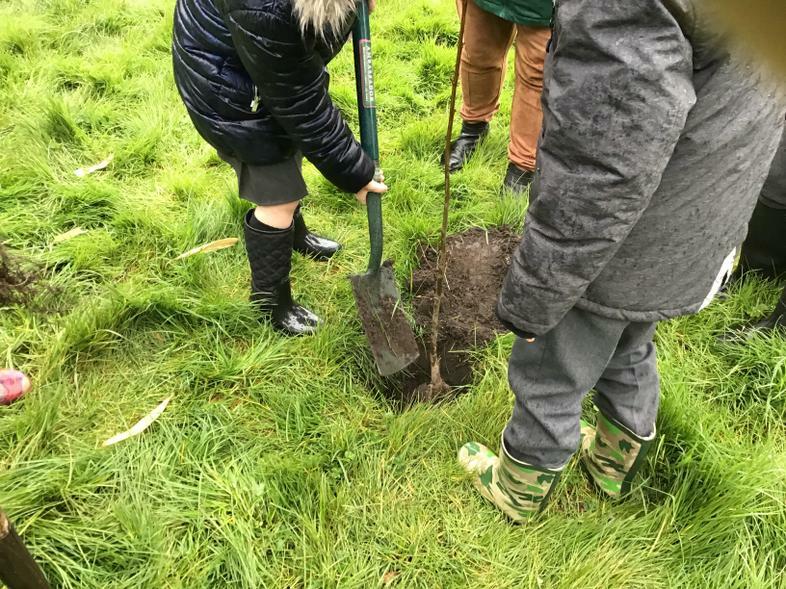 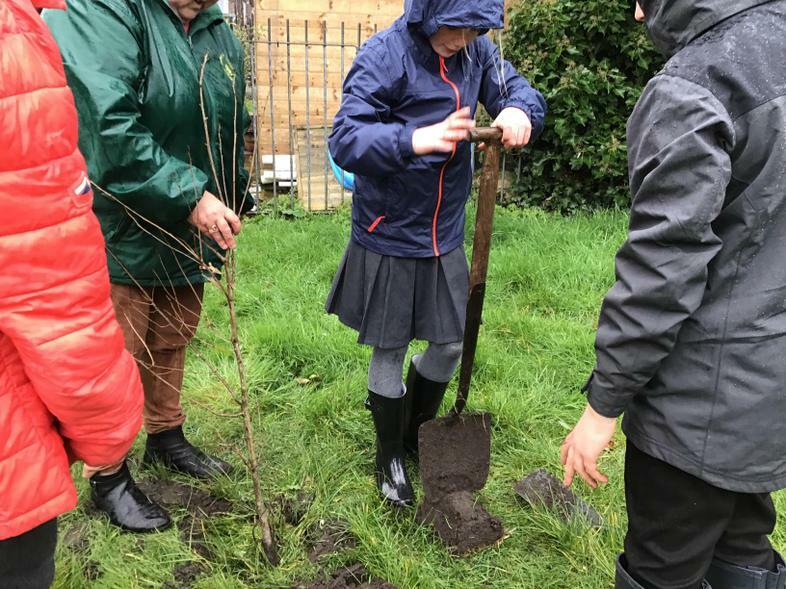 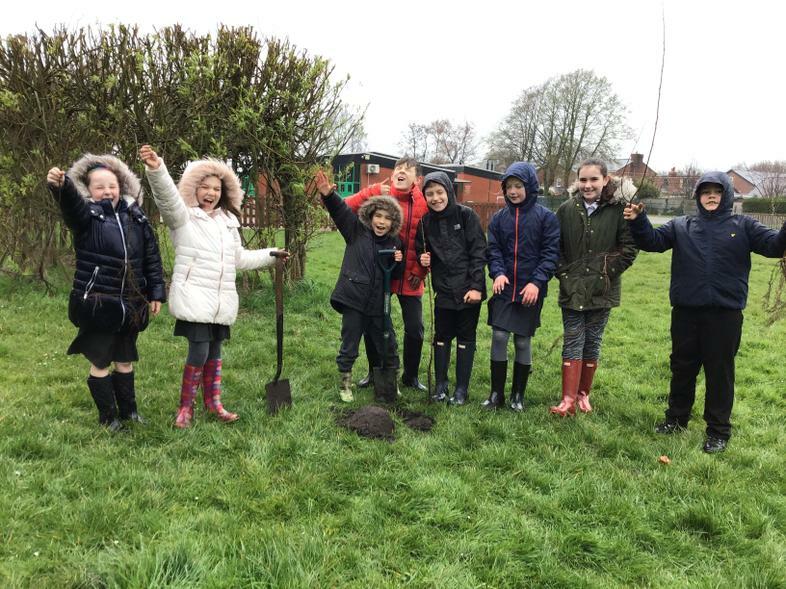 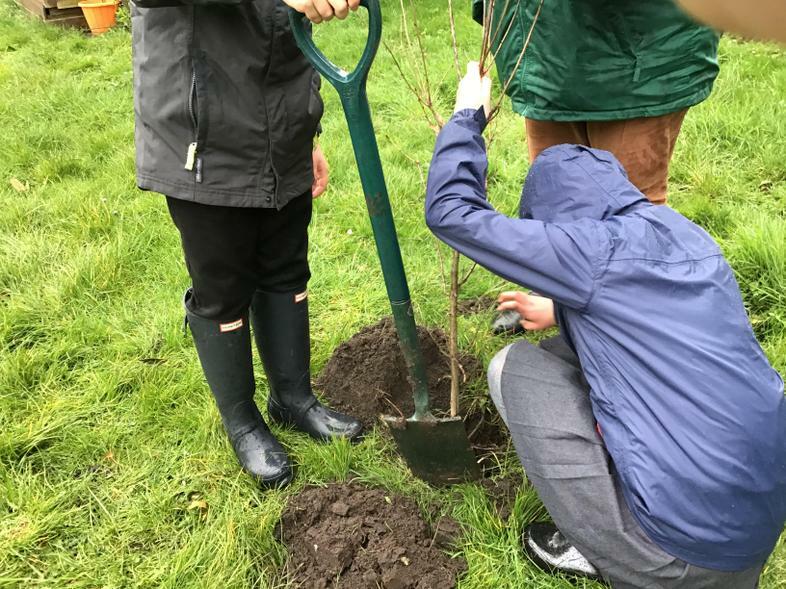 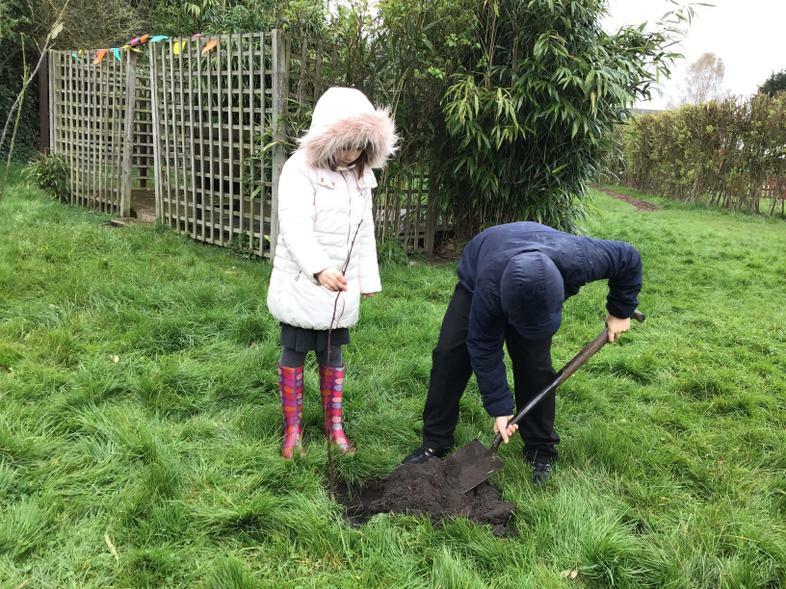 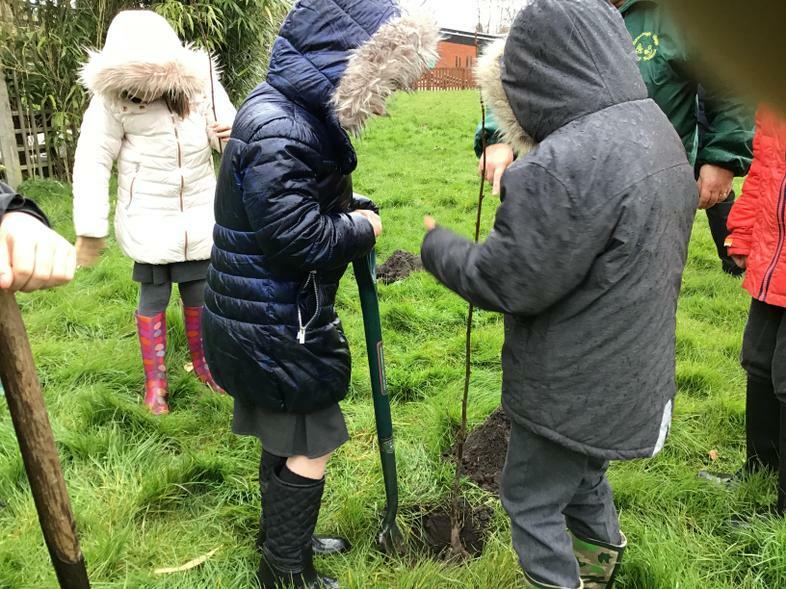 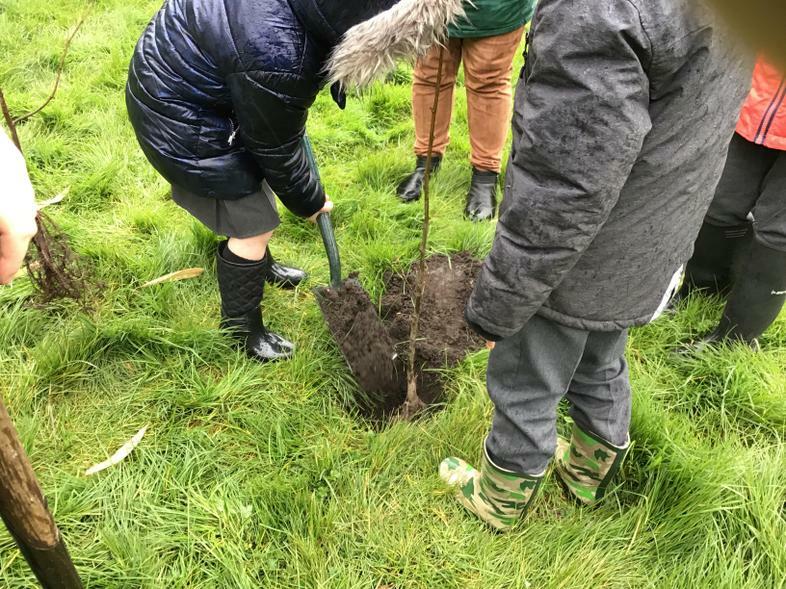 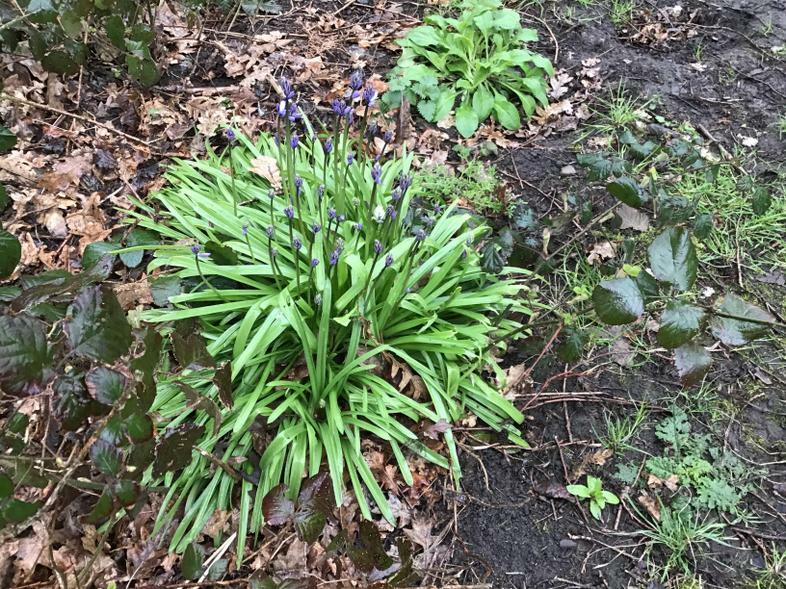 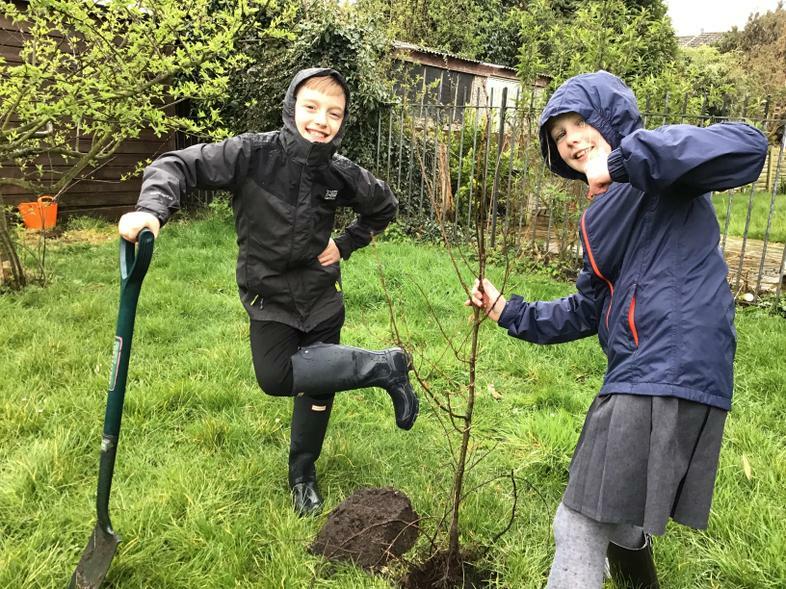 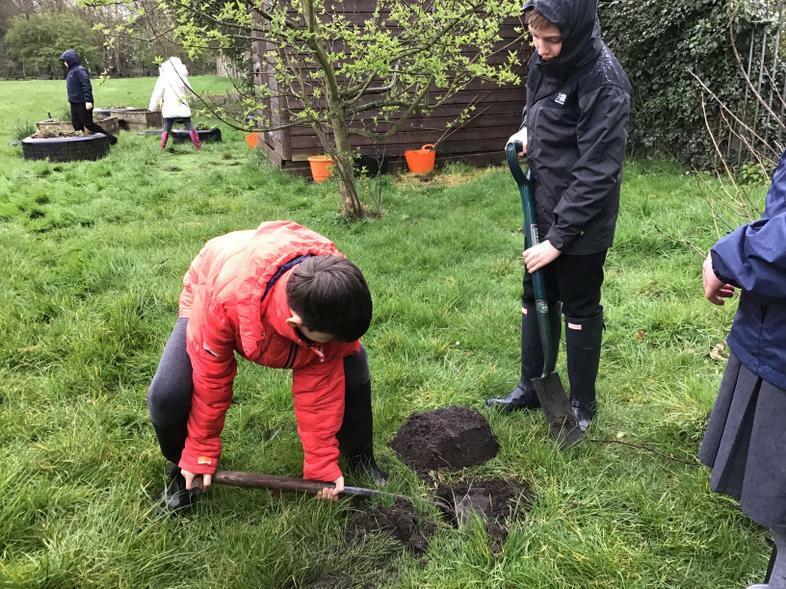 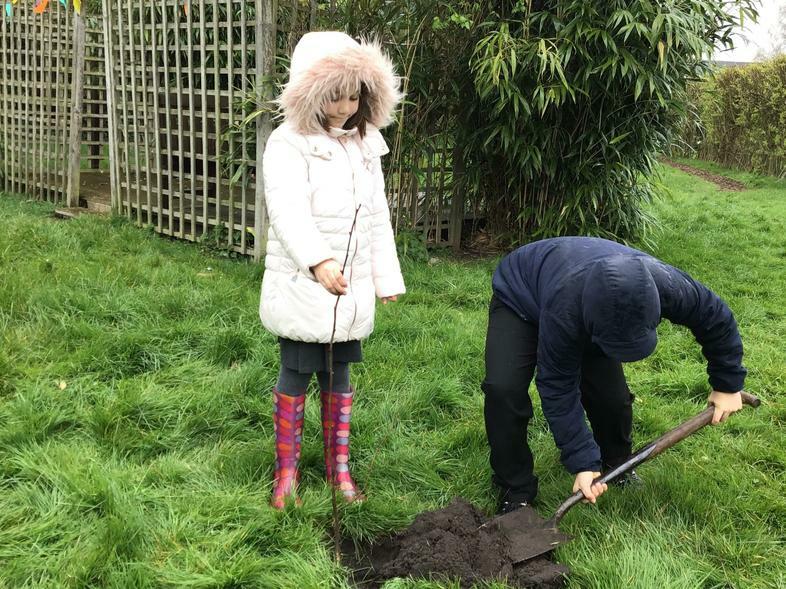 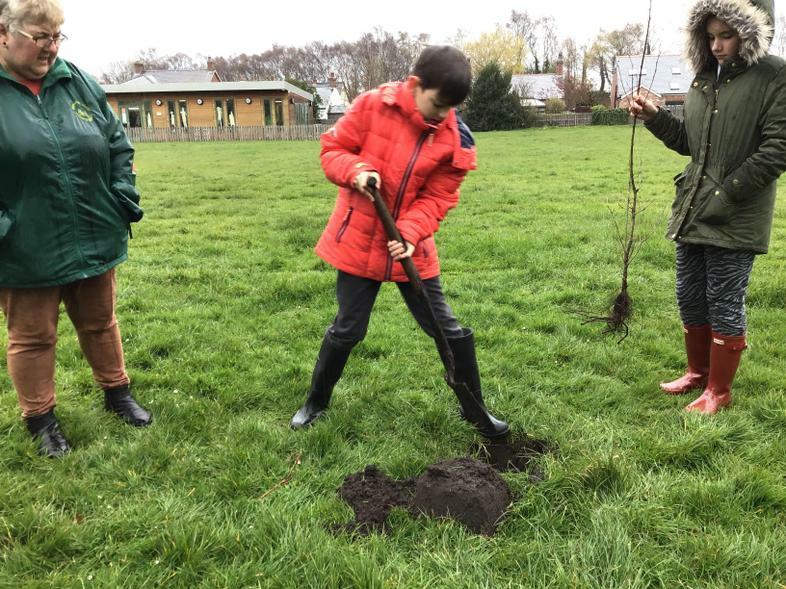 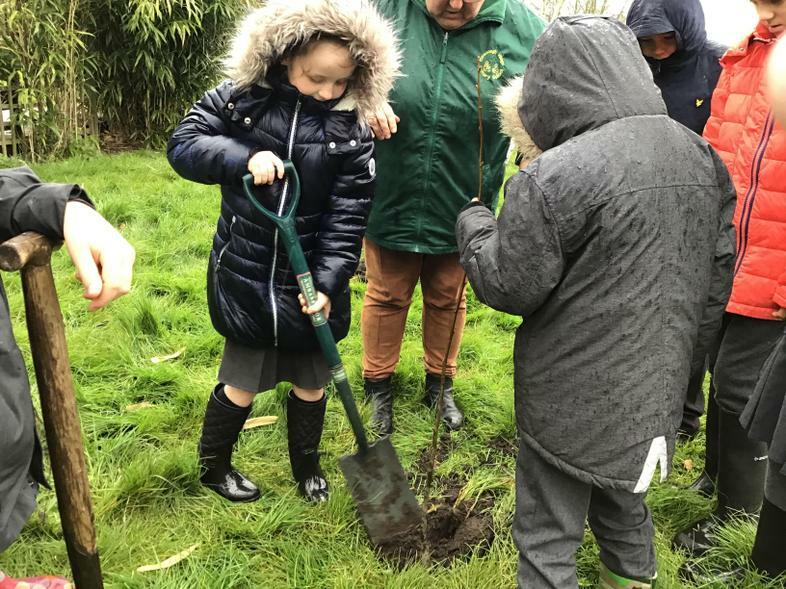 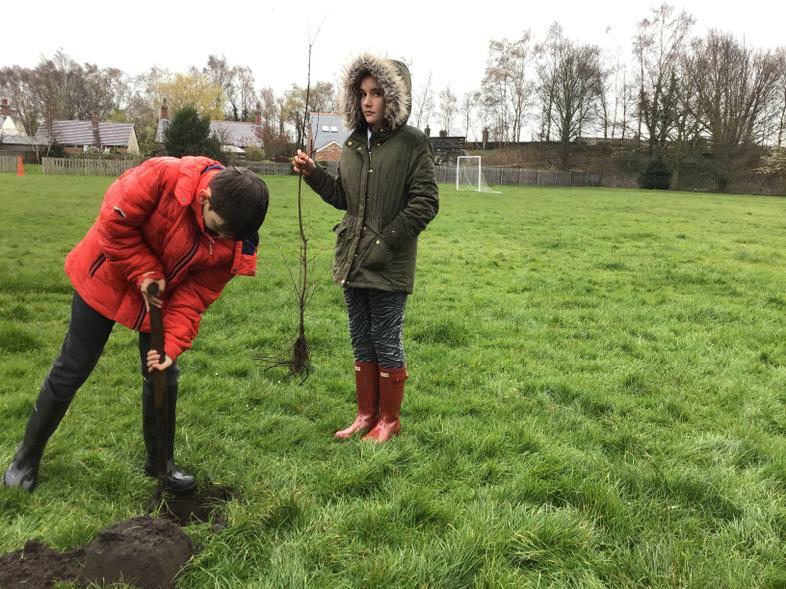 Mr Sadgrove and the members of the Eco pupil council embraced the blustery wet weather this afternoon and planted a variety of trees around our pond area and in our sensory garden. 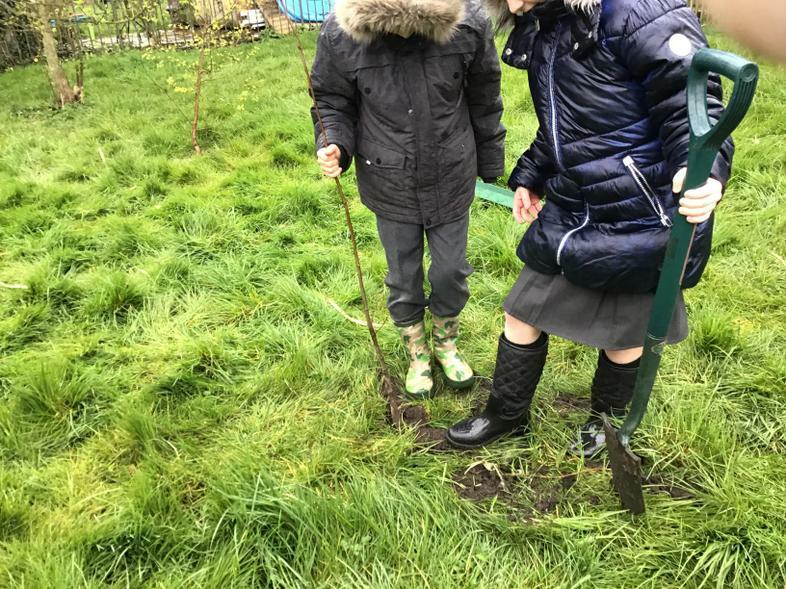 The trees they planted are Juniper, Aspen, Wild Cherry, Crab Apple and Lime. 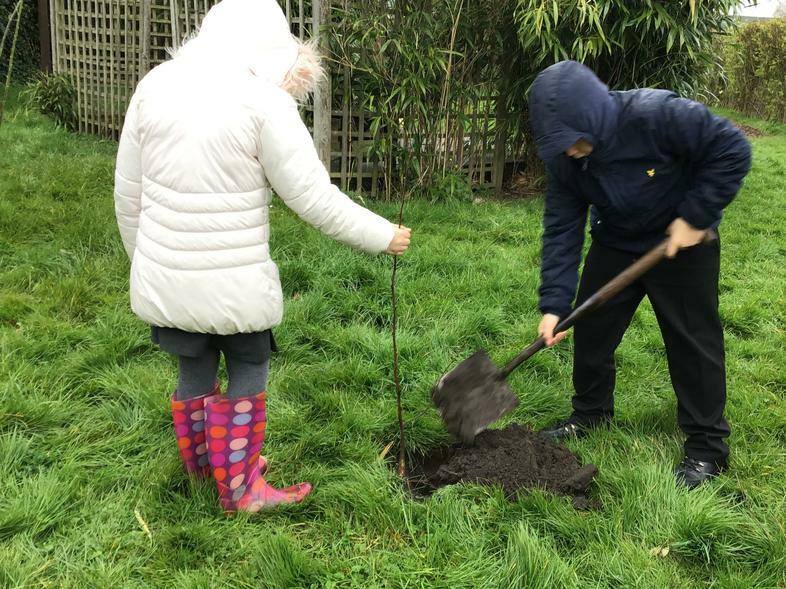 The fragrances and touch should enhance our sensory garden experience as well as doing the incredible job of helping the environment. 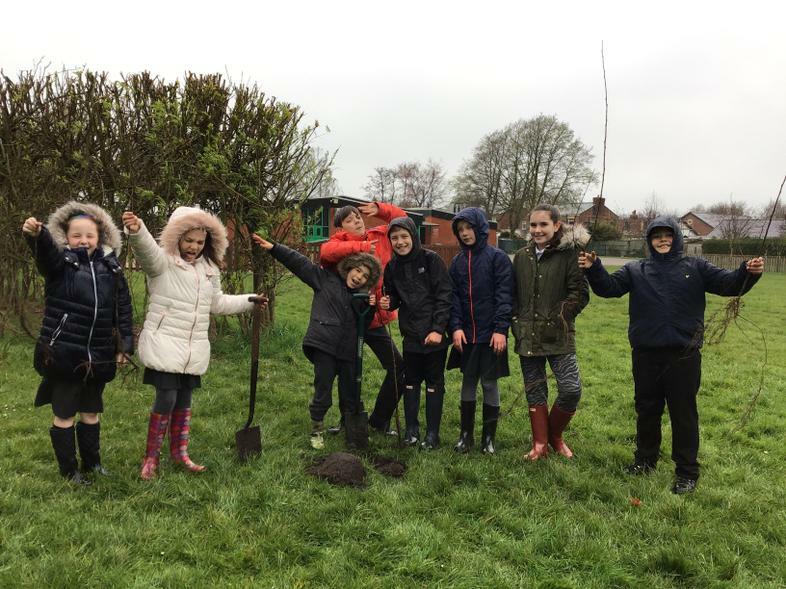 Well done to all of the children who helped.